"The Membership and camaraderie is truly something special"
Golfing celebrated its Centennial in 1997, but in 1959, the golfers decided to extend Club use through the winter by embracing Curling. We have a long and proud history, as we now will be celebrating 60 years of curling this fall! We have great ice quality, a time clock and viewing monitors. With our Curlers loungue overlooking the rinks, We offer full food & beverage facilities; competitive rates and have friendly members and staff. OCA (Ontario Curling Association) Clinic lessons are available. Through the efforts of a group of dedicated Conveners, there are numerous sections featuring league play for any member who wishes to participate. 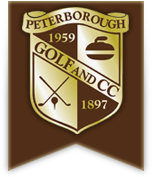 This is a fillable form that may be completed and emailed to info@ptbogolf.com or drop into the administration office. If you are one of our existing Curling Members from last year please click on the link below to complete our Curling Renewal Form. We also offer a 'Learn to Curl' program. This program begins every Wednesday evening from 6:00pm to 7:30pm and concludes in December. On Saturday October 20 we will start with a full day orientation.